Impress your partner with the tender side of romance creating a spectacular dinner together, starting with butternut squash tarte Tatin with candied jalapeño. This hands-on class will make fresh herb roasted beef tenderloin roulade stuffed with Maine lobster in a béarnaise sauce, tournéed fingerling potatoes fried in duck fat with coarse sea salt, roasted heirloom carrots with cumin, classic Lyonnaise salad, plus individual fresh pineapple upside-down cakes with rum-agave glaze. A popular Kitchen Conservatory tradition! 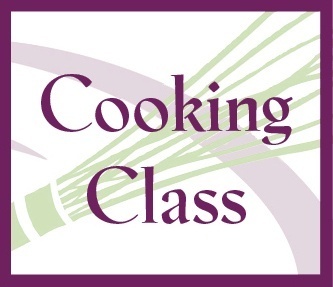 Celebrate Valentine's Day with your special Valentine at a delicious love-inspired hands-on cooking class.